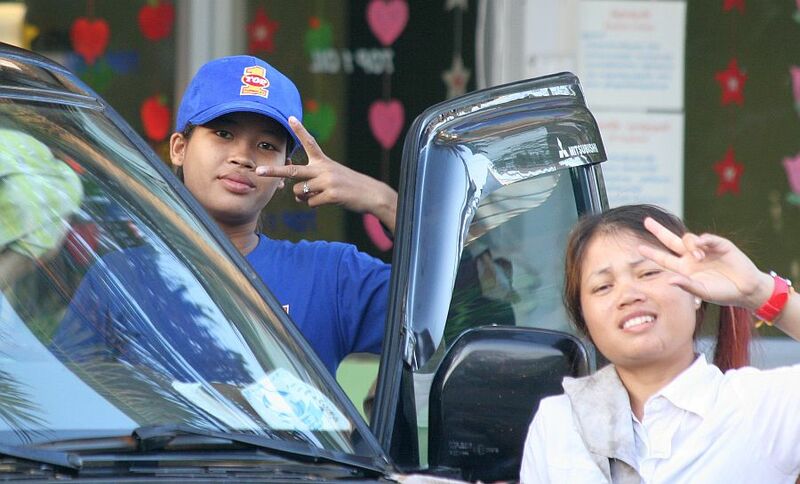 GIRLS AT THE CARWASH GLAD TO HAVE THEIR PHOTO TAKEN! 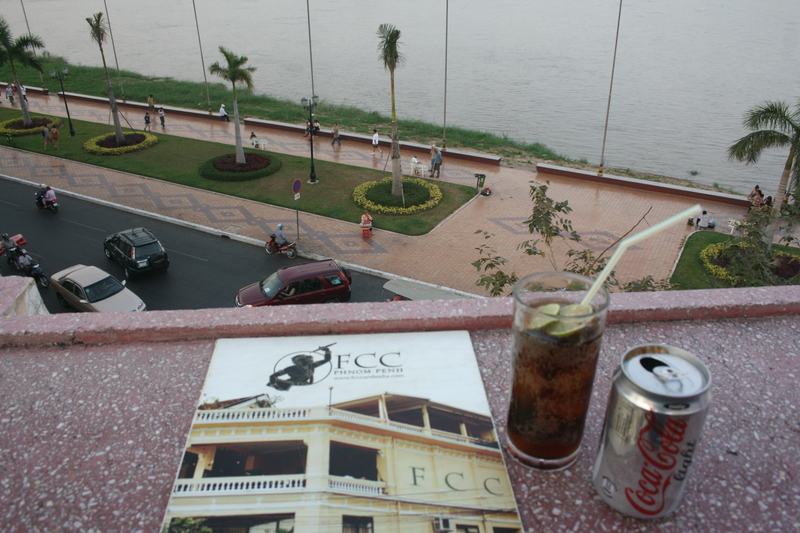 EVENING MEAL AT THE FCC (Foreign Correspondents Club) restaurant in Phnom Penh. 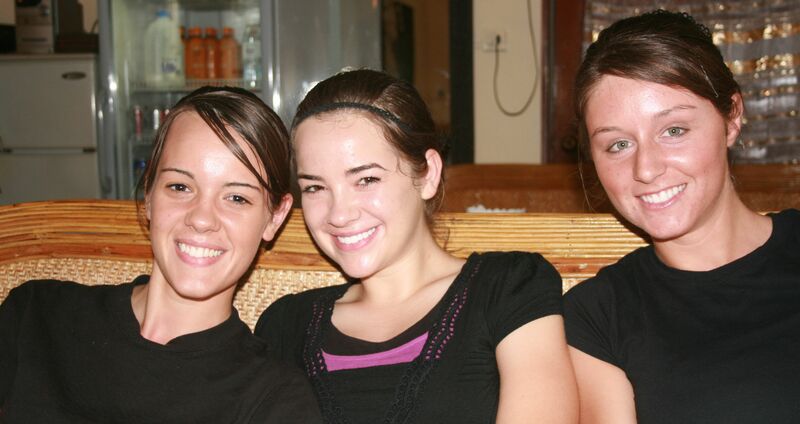 The Phnom Visitors Guide said, “This is the famous FCC – still as much a journalist’s meeting place as a popular tourist/expat bar and restaurant. Located on the second floor of a beautiful old colonial-era building, the FCC’s open balcony provides a spectacular, sweeping view of the riverfront. …….. No visit to Phnom Penh is complete without at least one visit to the FCC.” So of course last evening I decided to check it out! 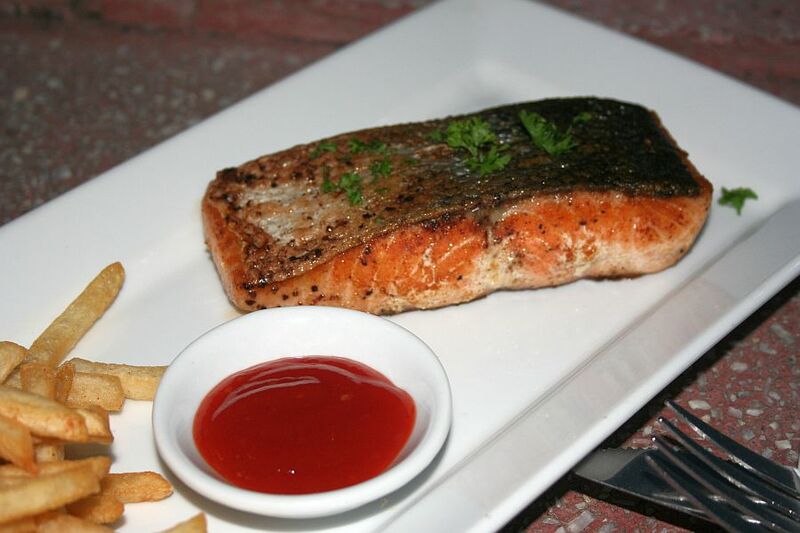 🙂 I decided on the grilled Norwegian Salmon Fillet. It was as delicious as the Salmon I ate in Chicago, San Diego, and the one my brother-in-law caught and brought to Florida to be grilled! I finished off the evening by sitting down with a mango milkshake, while I wrote some postcards to send to friends. 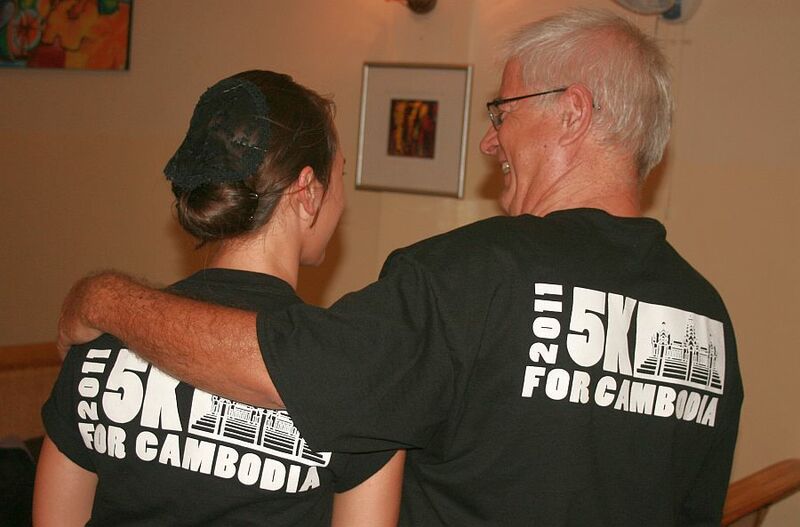 In Cambodia I had to switch from Diet Pepsi to Diet Coke! YOUNG BOY PEEKING OUT OF HIS CUSTOM DURING A LULL IN THE DRAGON POLE DANCE. 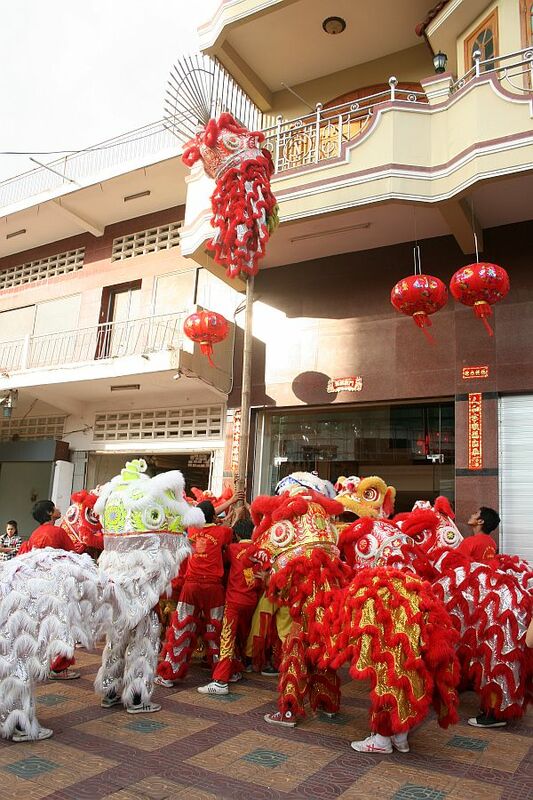 THE DRAGON POLE DANCE IN PHNOM PENH, CAMBODIA, as Chinese New Year celebrations continue. GIRL ACROSS FROM OUR HOTEL WHO GRILLS MEAT EVERY MORNING FOR THE LITTLE RESTAURANT. 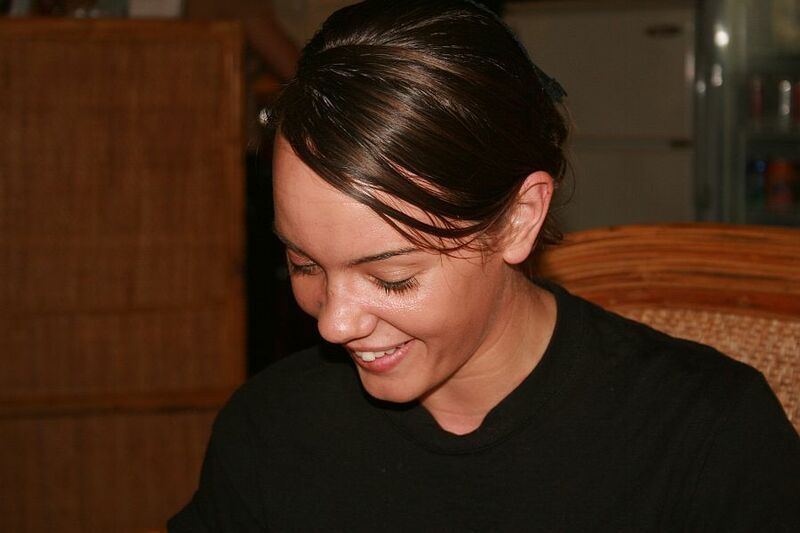 Not too shy for this photo! 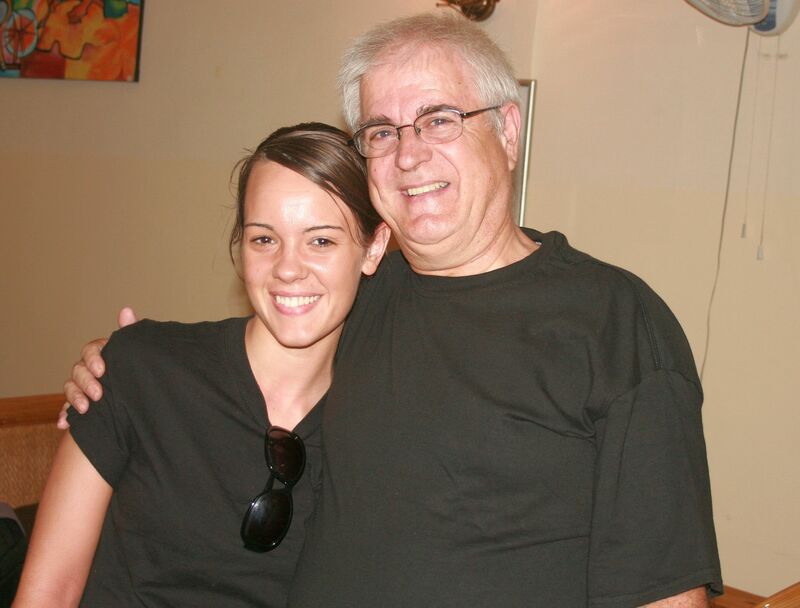 HAPPY BIRTHDAY, TO MY BROTHER WARREN! 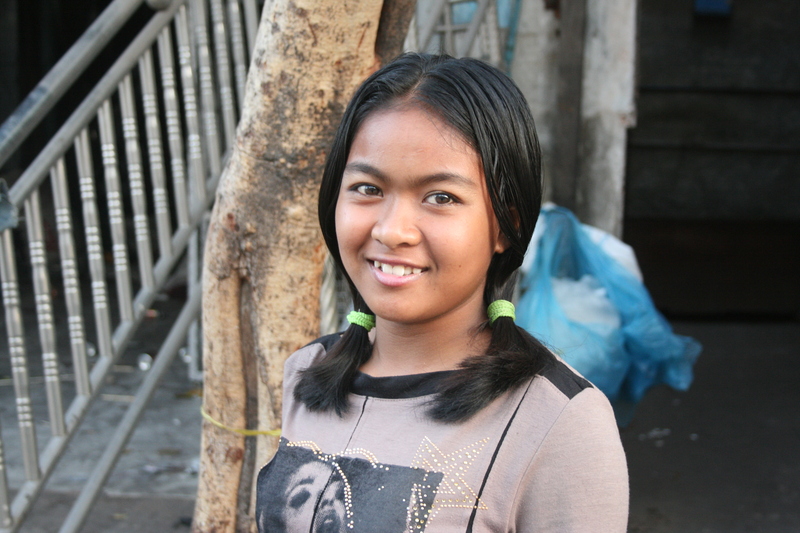 I am Cambodia and on Webmail I don’t have your address stored so this will be my birthday greeting! 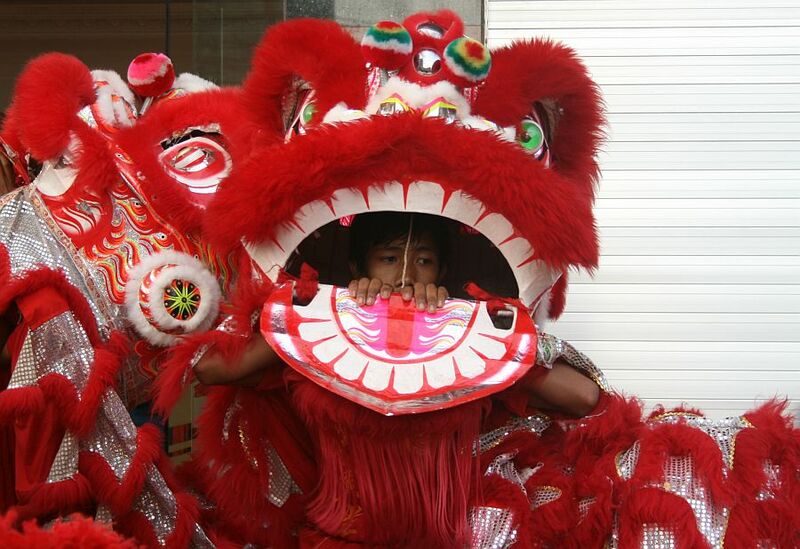 In Cambodia celebrations are in full swing for the Chinese New Year. 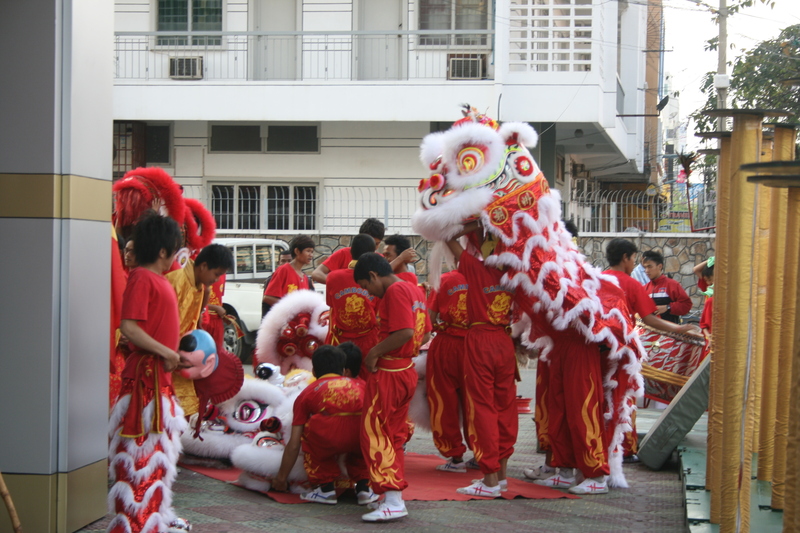 Youth in Phnom Penh Getting Ready to March With a Dragon Costume! 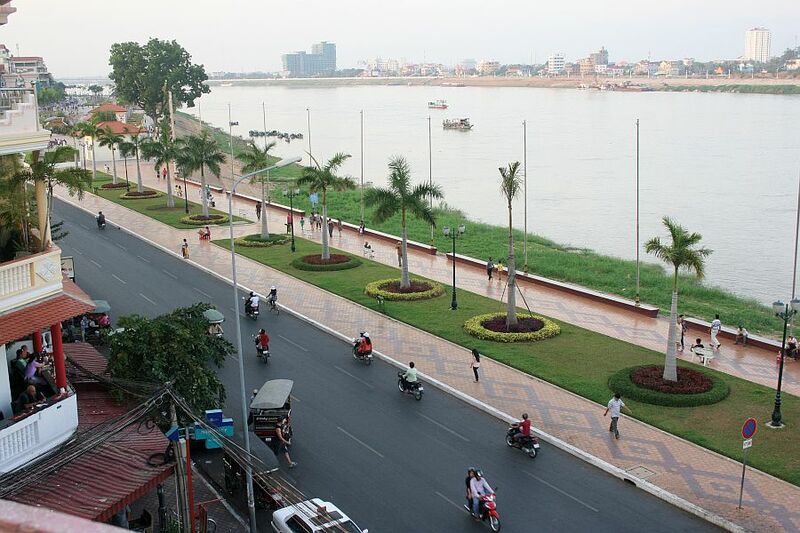 LATE AFTERNOON VIEW OF THE MEKONG RIVER FROM RIVERFRONT IN PHNOM PENH. 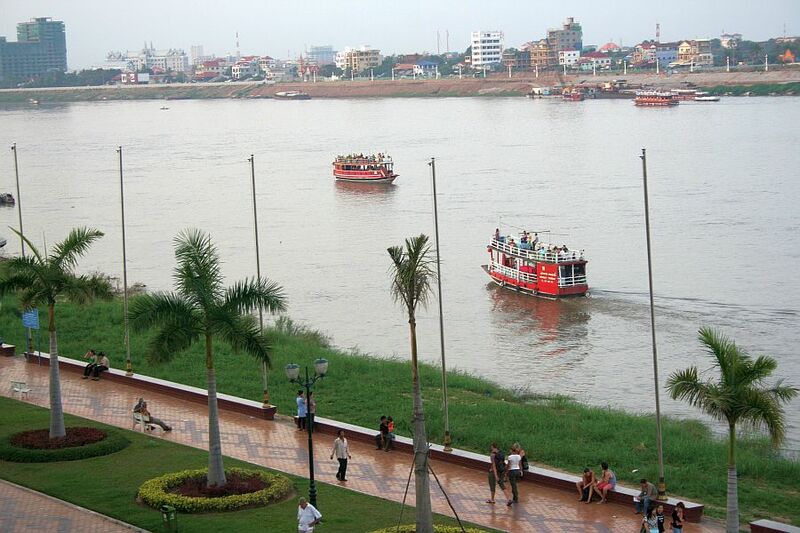 Mekong River in Late Afternoon! 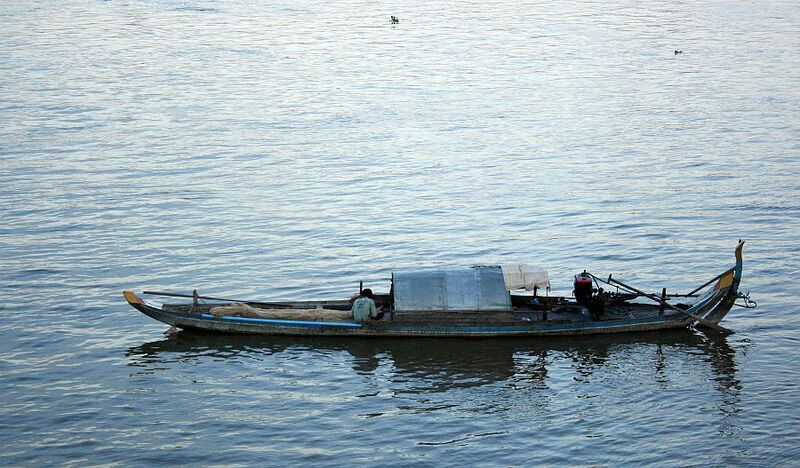 Fishing Boat on the Mekong River in Cambodia! VEGETABLE VENDOR AT THE MARKET NEAR THE RIVERFRONT IN PHNOM PENH. 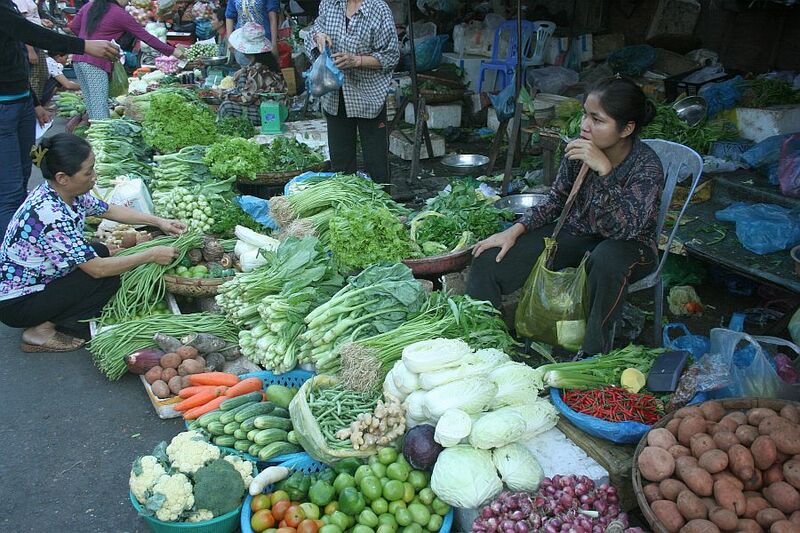 Vegetables at Local Market in Phnom Penh, Cambodia! 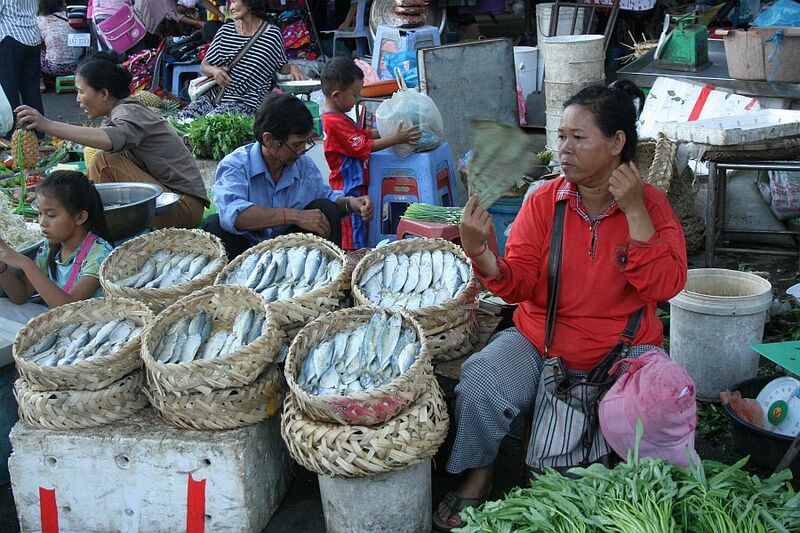 LADY FANNING HERSELF AT THE MARKET NEAR RIVERFRONT IN PHNOM PENH, CAMBODIA. Trying to keep cool in the Fish Market!